What Do You Mean, Justin Bieber Never Had a No. 1 Hit Before Today? Up until today, Justin Bieber never had a No. 1 song. Hard to believe, we know. With his ability to regularly break records with each new single, a chart-topper seems like it should’ve been short work for the Biebs. Consider, for example, 2010’s “Baby,” still the second-most-watched video in YouTube history — even if it’s also the most-hated — which only peaked at No. 5. Bieber came closer with 2012’s “Boyfriend,” but even that came up just shy of the mark, peaking at No. 2. Now, six years after his first entry on the Hot 100, Bieber’s big comeback single “What Do You Mean?” debuted on this week’s Billboard charts at No. 1, making it just the 23rd song ever to achieve that milestone. It replaces the Weeknd’s “Can’t Feel My Face,” which spent two nonconsecutive weeks at the top — though Abel still holds bragging rights for the No. 1 album in the country — and makes Justin the youngest male artist, at 21, to debut at No. 1. 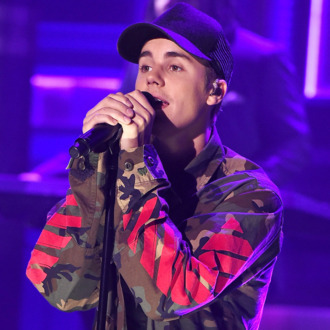 So what secured the Biebs’ first megahit? Most likely, a winning combination of rolling out the song’s lyric video, music video, and VMA performance all in the same week of eligibility on the chart’s current time frame. There’s also renewed interest in Bieber’s career: Just as the singer attempted to revamp his image at his Comedy Central roast, he revamped his sound with Diplo and Skrillex’s “Where Are Ü Now” — which currently sits at No. 10 on the charts — a song so strangely popular, the New York Times basically wrote an entire profile of it. In the lead-up to his next album (out November 13), Bieber’s been adamant about taking a more active role in his career’s direction, with his work co-producing the clockwork beats on “What Do You Mean?” as proof. All of Bieber’s previous albums have debuted at No. 1 on the Billboard 200, and that probably won’t change with this new album. The next big number he might be looking to chase is topping the biggest-selling debut week of 2015, a position currently held by Drake’s If You’re Reading This It’s Too Late, which sold half a million units its first week. What are the odds Bieber can beat Adele?